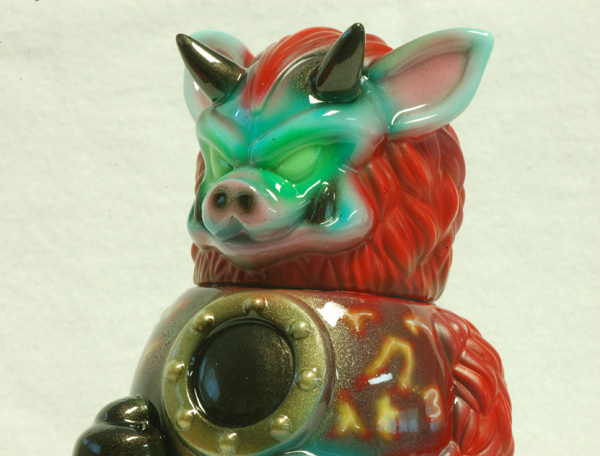 Partyball is Paul Kaiju’s contribution to the Monster Family line, and a super fun little sculpt. 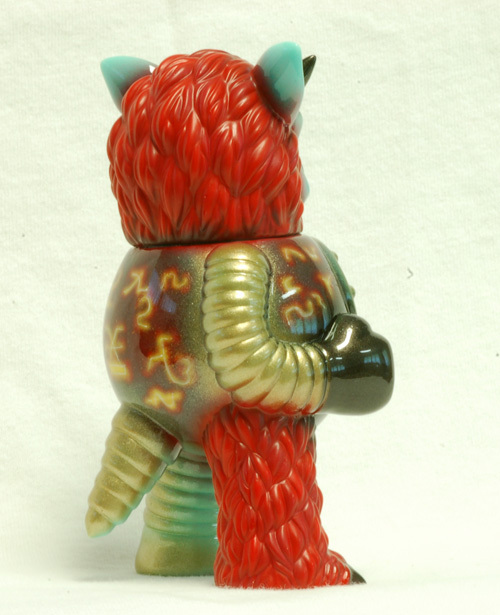 This custom will be at the FOE Monster Invitational Show in July. I continued my experimentation with mixed finishes and also tried something else in a fit of inspiration. I had been looking at Warhammer 40k models and was inspired to try out some more technical airbrushing to do glowing engraved symbols. The symbols were finished off with super fine off-white centers, where the actual carvings are glowing white hot.